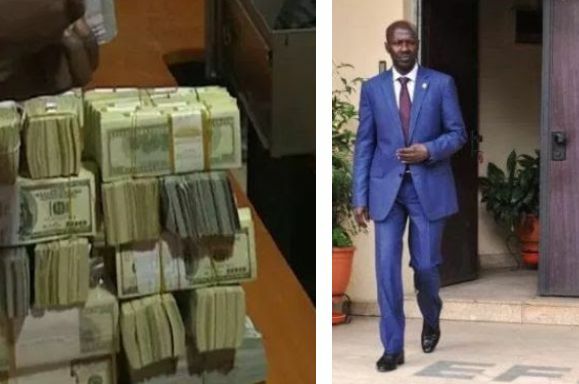 The Chairman of the Economic and Financial Crimes Commission (EFCC), Ibrahim Magu, yesterday said the agency recovered over N738.9 billion (equivalent to over $2.9 billion) in two years. He said the cash included $43m recovered from ex-Minister of Petroleum, Deziani Alison-Madueke. He sought for improved coordination and cooperation among State parties through the consideration and adoption of measures that will remove traditional ‘barriers, such as bank secrecy consistent with Article 46 (and dual criminality Article 46(9) as well as simplified legal technicalities in the recovery and repatriation of stolen funds. He also called for sanctions and prosecution of any financial institution that violates the law.